Simply create a CRM webform and add “Book a resource” field to it. Now you can select fields to be shown in the form, configure employees, resources and services lists. Your customers will be able to fill this form and your resources will be booked automatically. Open CRM section > click More > CRM forms > select a CRM webform > click Edit. In Add field section, click Lead. Select a Book a resource field created earlier. Here you can select fields to be shown in the form, configure employees, resources and services lists. 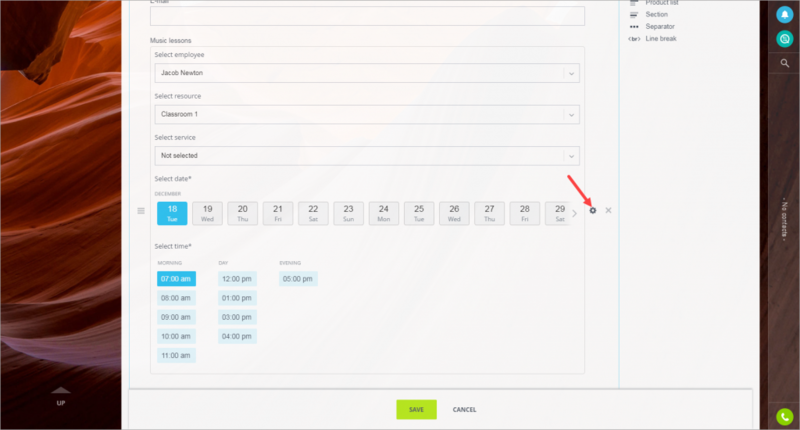 Then select how the time and date selection form will be shown to your customers. 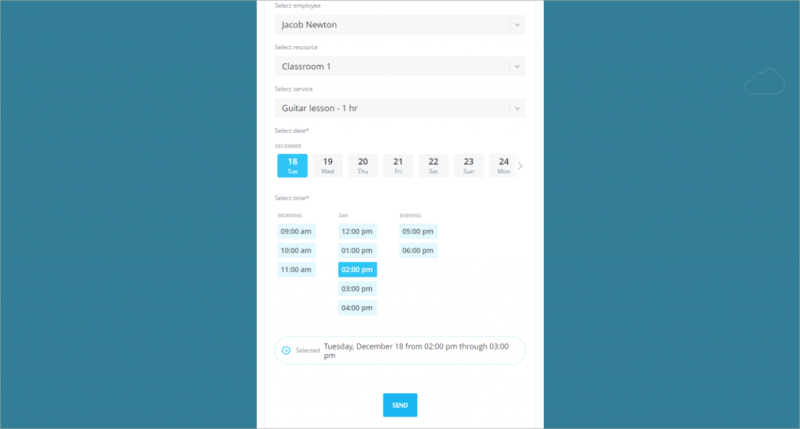 Date and Time fields are mandatory and are always shown in the webform. 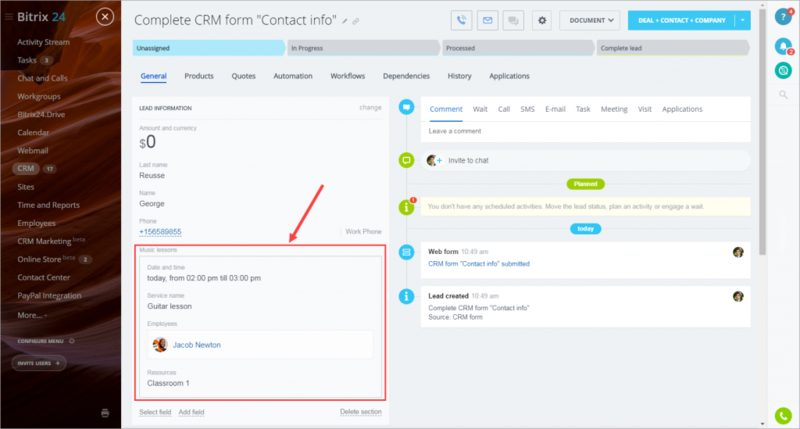 But if you select Date only when configuring Book a resource field in CRM, only Datefield is mandatory and is always shown in the webform. 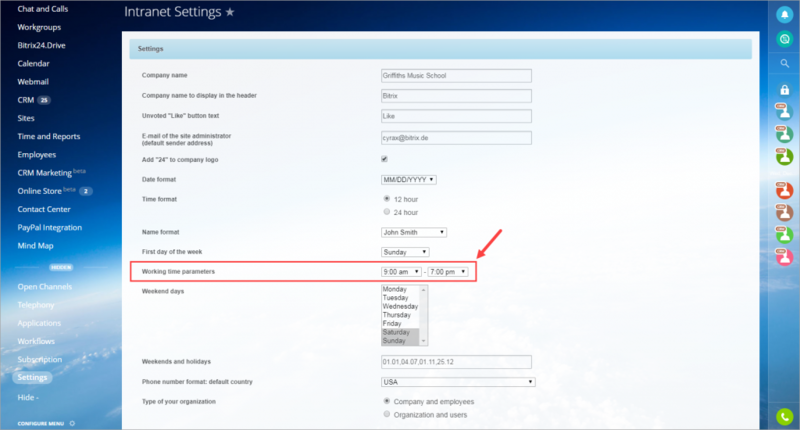 Working time displayed in the CRM webform is the same as specified in Working time parameters section of Bitrix24 Account Settings. Configure Employees and Resources fields. 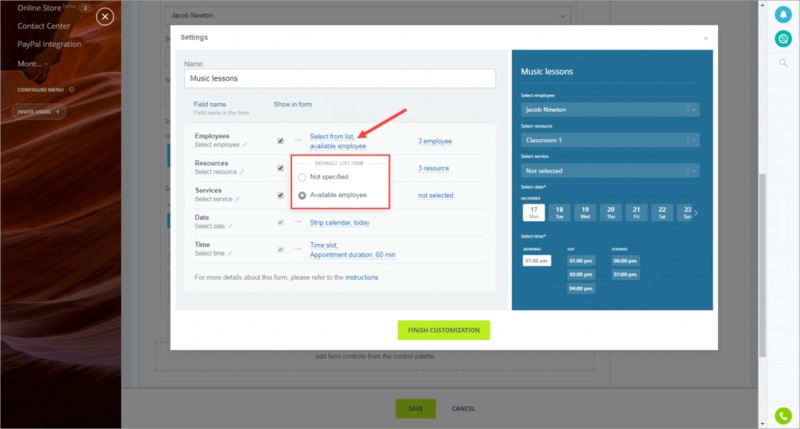 As an example, let's configure Employees field (Resources field is configured in the same way). 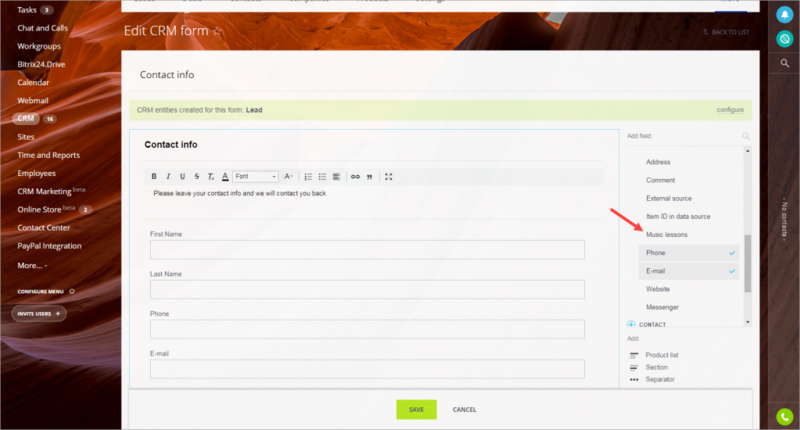 If you select Not specified option, your customer needs to select an employee when filling the webform. If you select Available employee option, your customer can select an employee. If a customer doesn't select an employee, the system automatically selects an employee available at the selected time and date. If you disable this field, Bitrix24 automatically selects an available employee, and this field is not shown to a customer. 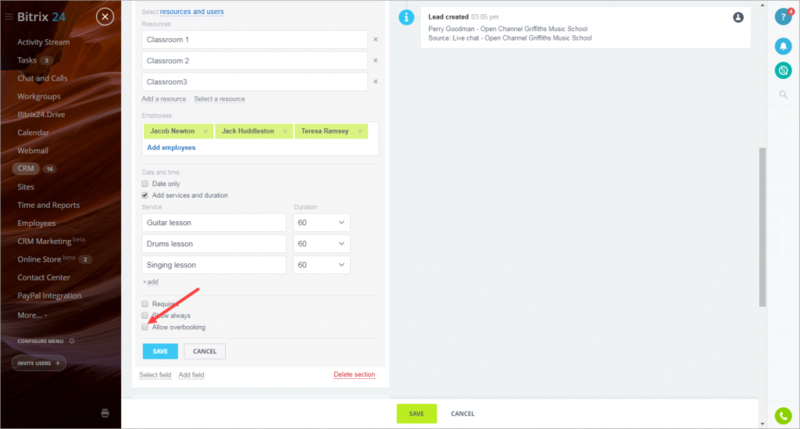 Make sure that Allow overbooking option is disabled in Book a resource field settings in CRM. Otherwise, several customers will be able to select the same employee, date and time. 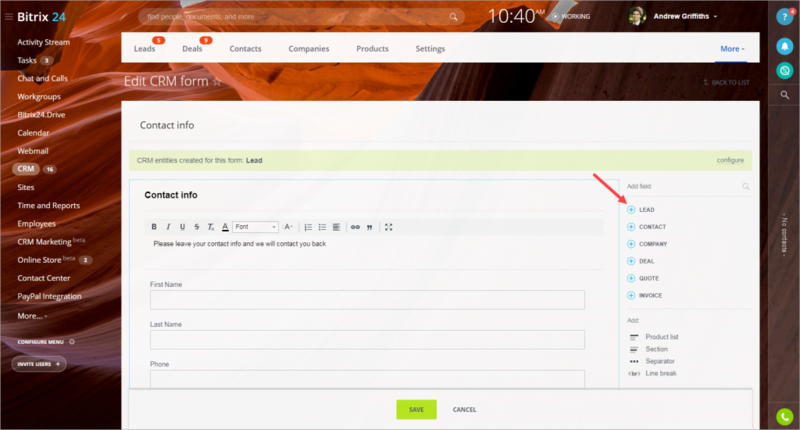 Click Finish customization > Save and CRM webform is ready for use. A new lead is created automatically after a customer fills this form. All the information about booked resources is displayed in the lead's card.